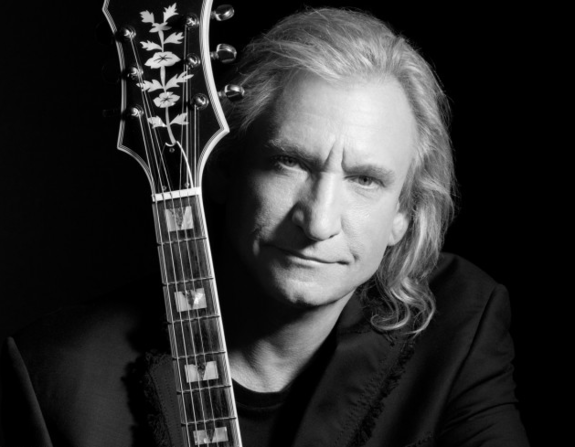 Joe Walsh has teamed up with Facing Addiction and Charity Buzz by donating a Meet & Greet package which includes a Takamine GD30CE-12 NAT guitar signed by the Eagles. One package for each The Classic performance is being auctioned of at CharityBuzz.com, and all proceeds will go to the Facing Addiction organization. "@FacingAddiction is an important organization striving to find a solution to the addiction crisis. You can help me support this great cause by bidding at @Charitybuzz to meet me at my July 15 show or my July 29 show." The bidding ends Tue, 13 Jun 2017 at 3:00pm EDT.